Charming light & bright one bedroom condo in a dynamic prime West Hollywood location. In a secure building between Santa Monica Blvd & Sunset Plaza, is this open floor plan condo featuring light laminate wood flooring, large bedroom, and updated kitchen. 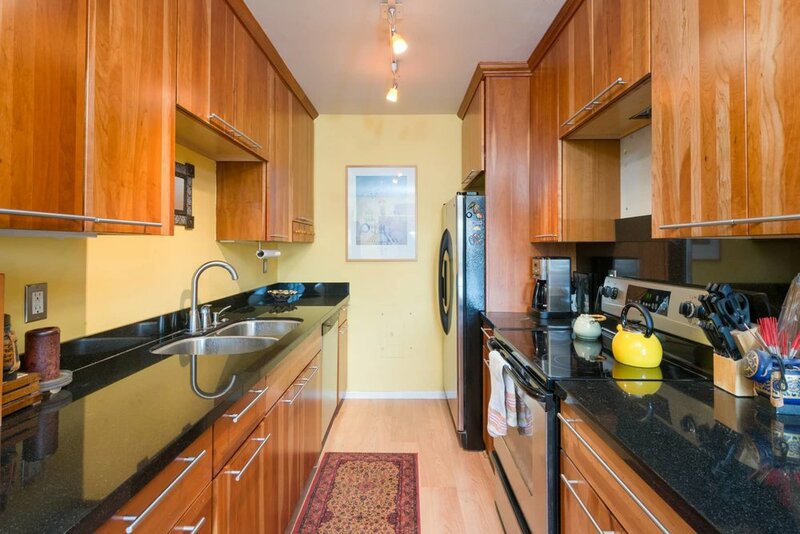 The chef's kitchen has clean black granite countertops, nice wood cabinetry, and all stainless steel appliances. The bedroom is spacious and has a large closet. Living room with glass slider leads out to a peaceful balcony. Building has a beautiful pool and lounging area. All this at a great value in an expensive and highly desirable neighborhood within walking distance to great restaurants, shopping, and nightlife!